SportzHype Asks: Does Winning Take Care Of Everything? 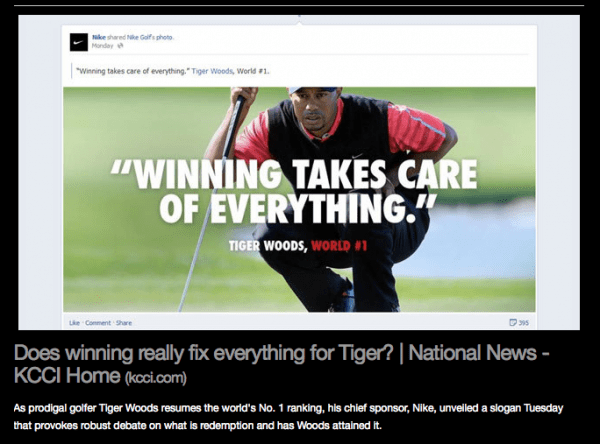 KillerStartups > Startup Spotlight > SportzHype Asks: Does Winning Take Care Of Everything? How ‘bout that latest Tiger Woods ad by Nike? Angered by it? Think nothing’s wrong with it? Don’t care? You don’t have to be a sports fan to be intrigued by the questions of ethics and business practices this topic raises. There’s something for everyone to talk about. But the sports fans hungry to be heard should should pay a visit to SportzHype. Sort of like Pinterest, Twitter, YouTube, and Facebook dressed up in one uniform, SportzHype is a social networking and news site for sports fans. This is a place to get your sports fix – no matter how many jerseys it wears – and join (or start) whatever sports conversations keep your adrenaline pumping. 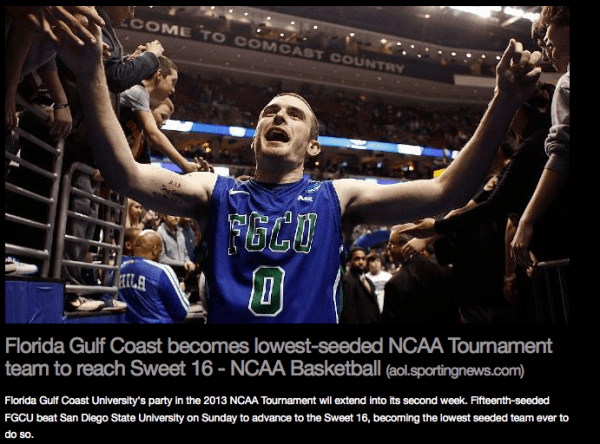 Install a “Hypeit” button in your web browser, and grab whatever sports videos or articles you find interesting. 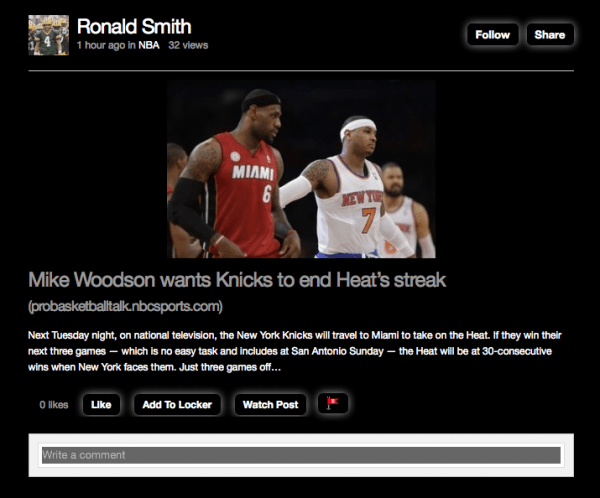 SportzHype takes care of crediting the original source and providing links. Members can store media in their lockers to save for a free moment or share them within the community. Our sharp readers at KillerStartups will no doubt remember SportzHype from an earlier appearance and note substantial changes. A new, edgier look to the entire site gives the pages the gloss of a professional media outlet. Within each snippet, members have the options to “Like,” “Locker,” “Watch,” or “Read” items. A “V” or “R” icon at the bottom conveniently notes if a particular news clip is reading or video material. Browsing categories have both expanded and altered slightly. You can still click straight to the “New Hype” and “Top Hype” for all the latest and most attention-winning highlights. In place of the former “Hot Hype,” however, you can now easily search for whatever specific sport you so desire under the “Category” heading. Visitors will also find a page for “Scores and More” and – as a testament to SportzHype’s growing community – the ability to connect with other members or people you’re already following. This sounds like a lot of changes, but all the new features are welcome improvements and have been incorporated seamlessly. We love our sports. We participate in and watch a lot of sports. And we talk A LOT of sports. The great fun of SportzHype is the community – sharing social media, and talking about all that’s happening on and off the field. How much of the intrigue of any game is the result of all that’s being said about a contest, after all? Anyone care to hype up the question? What an exciting time to have an online water cooler like SportzHype to visit! Tiger back to #1, Serena back to #1, NCAA March madness. The Penguins’ streak. Will the Miami Heat break the record of 33 straight victories? The U.S. soccer team playing to a draw in Mexico. C’mon. Unchain that sports historian / expert / color commentator / rabid fan that’s barely contained within you, and share some hype. Bask in as much athletic glory and heartbreak as you can stand at SportzHype.